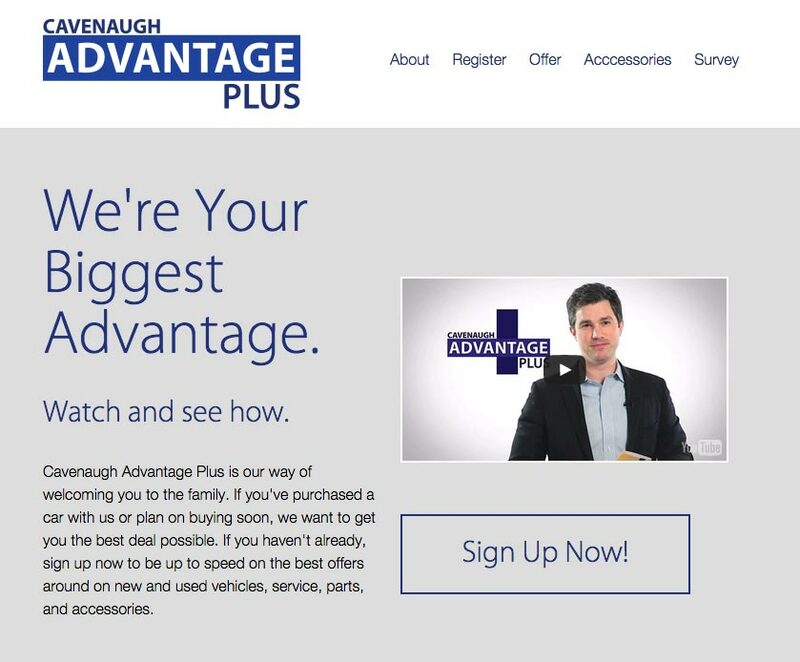 Cavenaugh Advantage Plus is a program targeted to customers of the Cavenaugh Auto Group. We were tasked with creating the original marketing material and website for the program and to more clearly define what the program is to an audience. The website is a single page rather than multiple and takes down additional contact information for existing and potential customers so they can plan to purchase or maintain their vehicles.